How much does it cost to install a steam room in Scotland? Thinking of installing a sauna or a steam room in your house? But can’t decide between them. The decision often comes down to cost. And to know which one is right for you. You will need to understand what different steam rooms are available. And what the cost of each is. 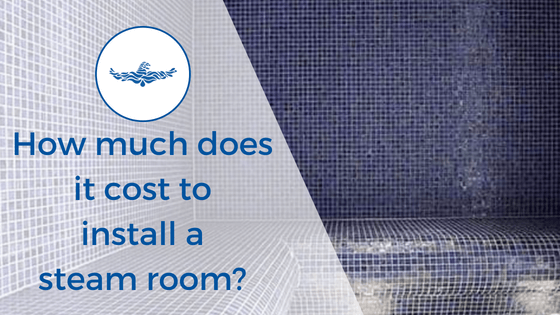 What is the cost to install a steam room? What types of steam room are available? How do we price steam rooms at Eagle Leisure? 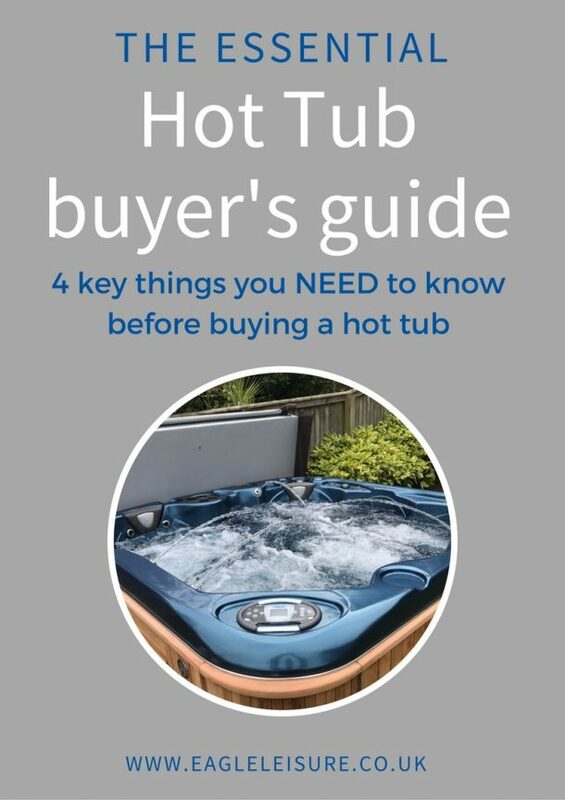 Why do we sell Coast Spa hot tubs and swim spas? Steam rooms cost anywhere between £400 and £40,000. That’s a pretty massive difference in price. So, why is there such a big price difference? Not all steam rooms are created equal. And as with anything you get what you pay for. And, there are a couple of different types of steam room, which can massively affect the pricing. First up, is the most common and the cheapest option. These are normally purchased from a bathroom supplier and are a standard shower size (approx. 800mm x 800mm). They are primarily showers for one person, with a steam function and a fold down seat. You’re not going to fit the whole family in there for a steam room, that’s for sure. These will set you back anywhere between £400 and £3,500. Prices vary depending on size and ‘quality’. Honestly, we’ve not heard great reviews on these from bathroom companies and users alike. They have a tendency to leak or break. Which isn’t surprising given the price tag on some. Considering a good steam generator alone can set you back a few thousand pounds. If you are spending £400 and getting a shower + a steam room with lights and music. You need to ask yourself where cuts are being made. We would suggest if you are going for something like this that you go with a reputable supplier. That will back up the warranty when needed. If a steam shower combo is right up your street. But, you are wanting something more robust that the shower cubicle. With the capacity to fit more people in. Then we’d recommend a steam room-shower combo from a specialised steam manufacturer. Tylo and Helo do brilliant, robust and quality options. They are substantially more expensive with prices between £9000 and £40,000. But these are steam rooms, with a shower fitted. As opposed to a shower, with the capacity for steam. And are going to be of a much higher quality than a steam shower cubicle. Prices vary depending on size and feature eg. lighting. Next, we have acrylic steam rooms. They are pretty similar in many ways to steam room-shower combos. They come in pre-specified sizes ready to assemble. And can be installed really anywhere. Whether that’s a bathroom, pool hall or commercial premises. The main difference is that they remove the shower space. And use vacuum formed seats or benching to create more seating, within the same space. So if you’re looking to utilise space, and fit more people in, you might want to go for a standard acrylic steam room. Prices range between £7300 up to around £20,000. Prices vary depending on size and the features eg. lighting. They are available from specialised steam room manufacturers such as Tylo. Steam room-shower units and acrylic steam rooms can be a great option if you have a fairly standard size. But they can be pretty restrictive. Plus, due to the materials used they can lack the durability needed for long term domestic or commercial use. We’ve kept the best for last (not that we are biased in any way). 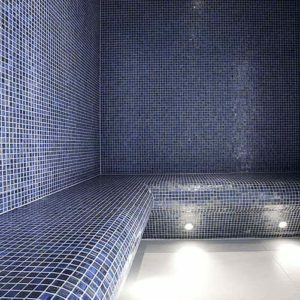 At Eagle Leisure, we specialise in custom designed, bespoke, tiled steam rooms. The top dogs of the steam room world (in our humble opinion). Using a custom designed, insulated pod. That is finished in a tile of your choice and LED lighting. We create a unique and luxury alternative to the traditional steam rooms. Plus, we can finish it off with a full glass front if you’re feeling really fancy. All that you see in the steam room is the tiled walls and curved benching. Plus a tiny outlet for the steam and essence. No fuss. Just simple perfection. It’s a really popular choice in bathrooms and pool halls both commercial and domestic alike. Because not only does it look great, but it’s extremely durable. Cost depends on size and customisation as it’s made to measure. But the average cost of a tiled steam room is between £17,000 and £22,000. ps. If you love the idea of a steam shower. But also want something really durable. We CAN put a shower in your tiled steam room. How do we price steam rooms? We don’t have any prices online. Which, we know is kind of annoying when you are trying to budget. But every single steam rooms is a slightly different price due to a few things like size, shape and customisation. So it’s difficult to give you a ‘standard price’. Since it’s something you need to know. We thought we’d share our approximate formula to pricing steam rooms. Calculate the linear metres (add all 4 sides) e.g. 2m x 2m = 8 linear metres. Multiply the linear metres by £2200 eg. 8 linear metres x £2200. This gives you the total price inc. VAT e.g. £17,600 inc. VAT. In 90% of the cases, this is your price. We’ll come to the site, measure up and confirm all specifications just to be sure. Then give you your final price. Run the electrical wire from your main control box. Run a water supply to the steam room. Floor your steam room (unless specifically discussed). We recommend you tile. And remember to include a drain. Once the electrical supply and the floor are there we do everything else. Steam rooms cost anywhere between £400 and £40,000. The cheapest and most popular option is the ready-to assemble shower units, with a steam generator. These are £400 – £3500. But we aren’t convinced these are a good idea given the report on leaks and breakages we have heard. If a steam-shower combo sounds great. But you want something a bit bigger, and more durable. Then a steam-shower combo from Tylo or Helo is a great option. These will cost around £9000 – £40,000. 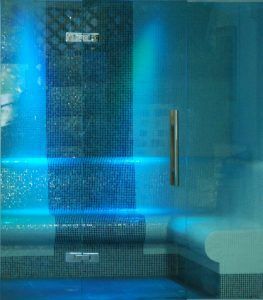 Acrylic steam rooms remove the shower but give you a bigger seating capacity in the same space. These are usually around £7300 – £20,000 from a steam room manufacturer such as Tylo or Helo. All of the above are somewhat limited to the pre-specified size and designs. Finally, if you want something that looks amazing, is durable and is completely bespoke. Then we recommend a custom built, tiled steam room. Price depends on size and specification but the average prices are around £17,000 – £22,000. Hopefully, that has helped you to understand how much a steam room can cost. And, helped you understand which one will be right for you and your home. How much does is cost to install a sauna? What is the difference between a sauna and steam room? How much does a sauna and steam room cost per month?